Ana Pêgo got her Ph.D. in Polymer Chemistry and Biomaterials from the University of Twente, the Netherlands, in 2002. In 2003 she became a researcher at INEB where she is a Principal Investigator since 2012. She is the Coordinator of the nBTT - nanoBiomaterials for Targeted Therapies Group and leader of the nanoBiomaterials for Neurosciences team. By using nanomedicine strategies the Biomaterials for Neurosciences team aims at providing in situ and in a targeted manner the required signals to promote nervous tissue regeneration. The research on new biomaterials for application in neurosciences includes the development of new polymers for the design of alternative vectors to viruses for efficient gene/siRNA delivery and preparation of nerve grafts for spinal cord injury treatment. Societal and ethical issues that concern Regenerative Medicine and NanoMedicine are also a topic in which Ana Pêgo is involved. 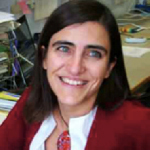 She has been appointed the Scientific Director of the Bioimaging Centre for Biomaterials and Regenerative Therapies of INEB and she is an Invited Auxiliary Professor at the Faculty of Engineering of the University of Porto (FEUP) and Affiliated Professor at Instituto de Ciências Biomédicas Abel Salazar (ICBAS) of the University of Porto. Dr Bart Hoogenboom is a Reader (UK eq. Associate Professor) at the London Centre for Nanotechnology and at the Department of Physics and Astronomy, University College London. After training in solid state physics in the Netherlands and Switzerland, he developed AFM instrumentation for atomic-resolution imaging of solid-liquid interfaces and for submolecular-resolution imaging of membrane proteins in aqueous solution. Since 2007, he has lead a research group in London, where he uses AFM in combination with other techniques to understand physical mechanisms of biomolecular processes. 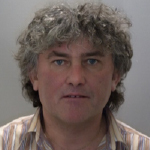 His recent research highlights include the first visualisation of the DNA double helix in solution, the nanomechanical characterisation of the transport barrier in nuclear pore complexes, and the elucidation of mechanisms of membrane perforation by antimicrobial peptides and by bacterial toxins. Assoc. 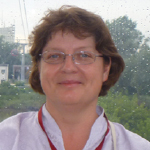 Prof. Małgorzata Lekka was appointed at the Institute of Nuclear Physics, Polish Academy of Science (IFJ PAN) in 1993, directly after graduation from the at the Faculty of Mathematics and Physics at the Jagiellonian University defencing her MSc thesis entitled "Preparation of biological targets for PIXE methods on example of post-partum placenta and blood". Afterwards, she carried out work on biological applications of scanning force microscopy in the frame of PhD Studies at the Henryk Niewodniczański Institute of Nuclear Physics in Kraków. In 1998, she obtain the degree of doctor of physical sciences in the field of biophysics. Her activity is mainly focused on the characterisation of differences between normal and cancerous cells/tissues by means of atomic force microscopy (AFM). The main aim of these studies is to establish the AFM technique as a method that allows the direct detection of altered cancer cells at the single molecules level. In the period 2004–2006 she was a fellow within a NATO Collaborative Linkage Grant (”Molecular interaction in normal and cancerous cells”). Currently, she is a head of Laboratory of Biophysical Microstructures at the IFJ PAN. She has published more than 85 refereed publications and book chapters. Professor Manfred Radmacher studied physics at the Technical University of Munich and was awarded a PhD in Biophysics there. Then he spent two years as a post-doc in Santa Barbara (Ca), before returning to the Ludwig Maximilian University in Munich. After habilitation in Munich, he spent two years as professor at the University of Göttingen, before he was promoted to a full professorship at the University of Bremen. His research focuses on mechanical properties of cells investigated by Atomic Force Microscopy. He has published over 70 research papers and 10 book chapters. 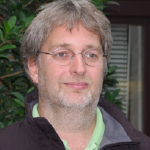 Hermann Schillers is Assistant Professor in the Department of Physiology II at the University of Münster. He studied Chemistry and earned his PhD with a thesis about blood coagulation factors. His postdoctoral career began 1997 in the lab of Hans Oberleithner where he started to work with AFM on biological samples. Dr. Schillers was awarded the Habilitation at the medical faculty 2009. His clinical part is the diagnosis of cystic fibrosis with transepithelial nasal potential difference measurements. He filed a patent for blood based CF diagnostics and was leading project coordinator of a clinical multicenter trial. His research activity is focused on the interplay of physiological and biomechanical properties of cells in health and diseases. Laboratory of Biophysics and Surface Analysis, School of Pharmacy, The University of Nottingham, U.K. I graduated with a Bachelors of Pharmacy degree from the University of Nottingham 1988 and qualified as a Pharmacist in 1989, after which I returned to the University to undertake a PhD on “Computational Studies in Scanning Probe Microscopy” under the supervision of Martyn Davies, David Jackson and Saul Tendler. I undertook postdoctoral research in the School developing the biological applications of SPM, in particular AFM, with one focus on the analysis and compensation for tip-induced artifacts. I was appointed to a lectureship in the School in 1996. In 2000, I was awarded a five-year Advanced Research Fellowship from the Engineering and Physical Sciences Research Council during which time I was able to develop research links with Evan Evans working at the University of British Columbia in Vancouver developing the theoretical understanding of force-induced dissociation and protein unfolding experiments. I was promoted to Associate Professor and Reader in Theoretical Biophysics in 2003. I am a member of the Laboratory of Biophysics and Surface Analysis, a research division with the School. The LBSA has an international leading reputation and track record in scanning probe microscopy and surface chemical analysis of pharmaceuticals, polymers and biomaterials. The LBSA remain the only grouping to receive the GlaxoSmithKline International Achievement Award, given for "Internationally recognized work on drug delivery and new techniques for surface and interface analysis". In 2004, at the age of 37, I was one of the youngest pharmacists ever to be made a Fellow of the Royal Pharmaceutical Society of Great Britain, made in recognition of “distinction in science related to pharmacy”. I was promoted to a personal chair in 2008 as Professor of Biophysics. I have been involved with the formation of a number of University spin-out companies and I am the co-founder of a successful spin-out from the LBSA, Molecular Profiles Ltd (www.molprofiles.com) (now Juniper Pharmaceuticals) which was awarded the Queens Award for Enterprise in the category of Innovation in 2007 and 2011. I have published over 170 research publications (including papers in Nature, Physical Review Letters, Journals of American Chemical Society, Journal of Molecular Biology, and the Biophysical Journal) and 23 invited papers and book chapters since 1990. I am currently the Head of the Laboratory of Biophysics and Surface Analysis, and Director of Research for the School of Pharmacy at Nottingham; a top-ten QS world-ranked school. Nuno C. Santos was born in Lisbon, Portugal, in 1972. 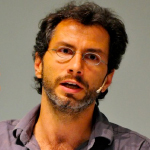 He graduated in Biochemistry from the Faculty of Science, University of Lisbon, in 1995, and received his PhD in Theoretical and Experimental Biochemistry in 1999 from the same University, although all the experimental work was conducted at Instituto Superior Técnico (Technical University of Lisbon) and University of California (Santa Barbara). 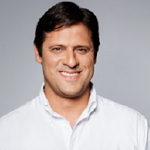 Currently, he is Associate Professor with Habilitation of the Faculty of Medicine, University of Lisbon, and Head of the Biomembranes Unit of the Institute of Molecular Medicine (IMM). Among other distinctions, his research work was awarded with the Gulbenkian Prize for young researchers (2001), Dr. José Luis Champalimaud Prize – Basic Research (2004) and Dr. José Luis Champalimaud Prize – Applied Research and Technology (2005). He is (co)author of 98 articles in per-reviewed international journals, which received more than 2500 citations (h-index 25, publishing since 1996), presenting an ISI - Web of Knowledge impact factor sum of more than 450. In addition to these publications, he (co)authored 10 articles in Portuguese scientific journals, 12 book chapters (mostly edited outside Portugal, in English) and 2 patents. Among different National and European research projects, he was the coordinator of a consortium funded by the 7th Framework Programme of the European Union (FP7), including 10 different research groups from Europe and Brazil. 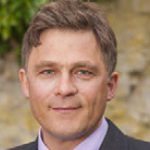 Peter Hinterdorfer has 20 years of experience in atomic force microscopy of biomolecules, single-molecule force spectroscopy and recognition imaging. His publication list includes 160 original publications, 36 reviews, and 25 book chapters. His particular research interests cover structural elucidation, molecular recognition, and transport in the following fields: antibody/antigen interactions, bacterial surface layers, cells of the immune system, nuclear envelope membranes, virus/membrane interactions, transmembrane transporters, and structured sensor templating, molecular structures, membranes, cells and proteins. His group was the first to study single-molecular interaction forces between antibodies and antigens. He has invented the technique of combined topography and molecular recognition imaging and molecular structures, and done pioneering work in high speed AFM on antibodies. 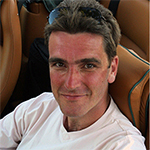 Simon Scheuring is the founder and head of the “Bio-AFM-Lab” laboratory U1006 INSERM / Université Aix-Marseille. He is a trained biologist from the Biozentrum at the University of Basel, Switzerland (1992-1996). During his PhD in the laboratory of Andreas Engel (1997-2001), he learned electron microscopy and atomic force microscopy, and got interested in membrane proteins. During this period he worked on the structure determination of aquaporins in collaboration with Peter Agre. During his postdoc at the Institut Curie in Paris, France, in the laboratory of Jean-Louis Rigaud (2001-2004), he learned membrane physical chemistry and developed atomic force microscopy for the study of native membranes. As a permanent researcher (2004-2007) and junior research director (2007-2012) he set up his lab at the Institut Curie in Paris, France. He has been awarded an INSERM Avenir grant (2005) and the "Médaille de la Ville de Paris" (2007). He then moved to Marseille (2012) where he built a larger laboratory named “Bio-AFM-Lab” administrated by INSERM and Université Aix-Marseille, where he got promoted senior research director (2012). In 2013 he received the ‘Grand Prix Robert Debré à orientation fondamentale’. His objective is to head a dynamic young research team with members from different scientific fields ranging from biology, physics and engineering to develop and use the atomic force microscopy to provide novel insights into the processes taking place in biological membranes. Simon Scheuring obtained 22 grants, published about 95 papers (61 scientific articles, 24 reviews, 10 didactic writings), and is co-inventor of 2 AFM-based patents. In his career he was invited to about 70 international conferences, about 50 seminars at renowned institutions and was organizer of several international conferences. He has trained (or still trains) 7 PhD students and 16 postdocs. 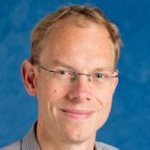 Simon Scheuring has been awarded an European Research Council (ERC) grant (2012).